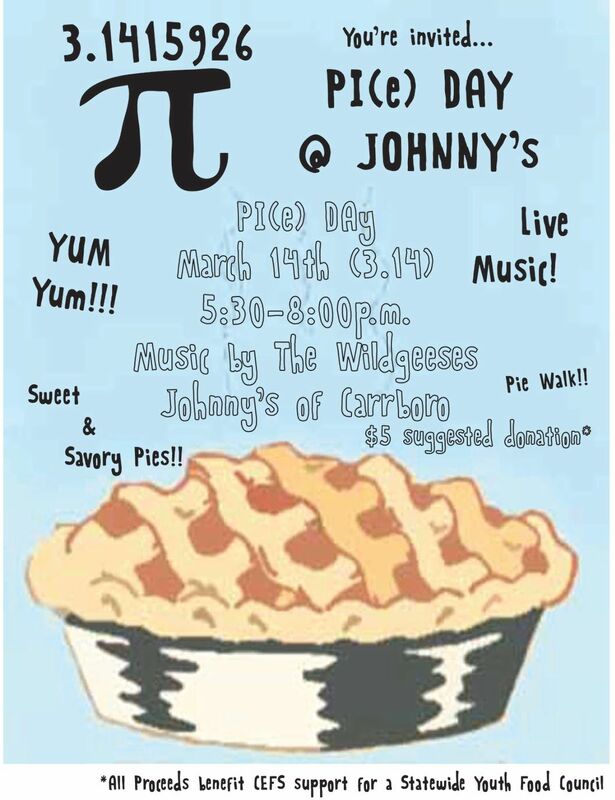 No baby goats this year, but there will be a wide array of sweet and savory pies baked by the Pi(e) Day Baking Team; a Pi(e) Walk, walked in circumference 2pi(e)(r), live music by the Wildegeeses, and even a pie photobooth. We will be contributing our donations to CEFS in their efforts to develop a statewide youth food council. 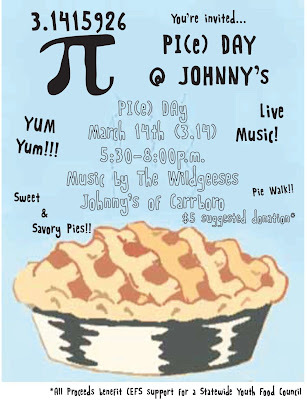 What are your Pi(e) Day plans? I am dating someone who loves butterscotch pie. Any good recipes or tips for that? thanks for the tips. He does like meringue on the top! You need to visit my facebook web site or send me your email address. I have a very large painting of a pumpkin pie slice that is now in an art show in Greenfield, Indiana. I wish that you could be there at the show opening party. My painting is posted on facebook and would make a great addition to your blog. I have other paintings of pies that I could send you as well. M. I sent E.E.H. a copy of your pie painting.